SKU: BC66514. Categories: Health & Fitness, Yoga. Tags: Yin Yoga, yoga, yoga styles. Why practice yoga or Yin Yoga in particular? YinSights, a book by Bernie Clark, has the answers. In YinSights, Clark explores the benefits of yoga, as viewed by both the Eastern and Western worlds and relates how it affects the body and mind. Although more and more students are embracing the Yin-side of yoga, Yin Yoga is still relatively unknown. Filling a void in yoga literature, YinSights serves as a practical guide for students interested in understanding Yin Yoga. YinSights is divided into two main sections. The first investigates the benefits of yoga on the physical body, the energetic body, and the mind/emotional body. Clark presents three points of view – those of the yogis in India, the Daoists in China, and the medical and scientific researchers of the West. The second section explores the practice of Yin Yoga in detail, and several flows are offered each with different themes. Slower versions of the normally active or yang Sun Salutations are provided, as well as even gentler ways to stimulate the flow of prana, chi, or energy. While YinSights illustrates how to practice Yin Yoga, it is not just for those seeking knowledge about Yin Yoga in particular. The book also discusses the advantages of all styles of yoga and will be of interest to every yoga student. 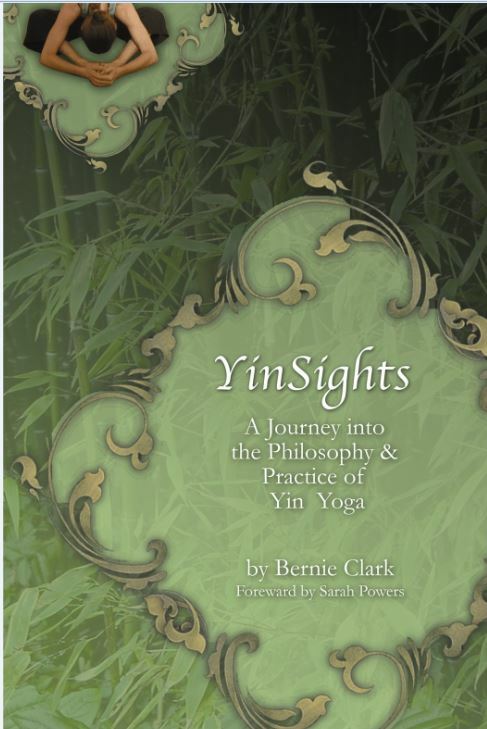 Bernie Clark author of the best selling The Complete Guide to Yin Yoga, has had a passion for science, health, sports and spirituality since childhood. He has a degree in science from the University of Waterloo and spent over 25 years as a senior executive in the high-tech/space industry. Bernie has been investigating the path of meditation for over three decades and began teaching yoga and meditation in 1998. He conducts yoga teacher trainings several times a year and aims to build bridges between the experiences of yoga and the understandings of modern science. He is creator of the YinYoga.com website. Other books written by Bernie include the recent Your Body, Your Yoga; From the Gita to the Grail: Exploring Yoga Stories & Western Myths, as well as YinSights. Bernie lives, teaches and offers workshops in Vancouver, Canada.